The road to recovery from alcohol misuse must always begin with recognition from the sufferer that they do have a problem. No matter how often friends and family might comment upon the amount that you are drinking, the capacity to affect change begins with you recognising and acknowledging that your alcohol use is causing you a problem. Q) I try to limit my alcohol intake to 14 units every week. I often feel drowsy the next morning and very thirsty. I understand that my alcohol intake is within NHS guidelines. How do I know if I am damaging my health? NHS guidelines are just that, guidelines. If you are drinking every week then you are classed as a frequent or regular drinker. The health risks involved with increased consumption of alcohol on a regular basis are very well documented. Q) I only drink once a week and consume less than the 14 units per week as recommended by the NHS. Does this mean that my health is still at risk? What is binge drinking? It’s when you drink a lot of alcohol over a short space of time – normally just a few hours. 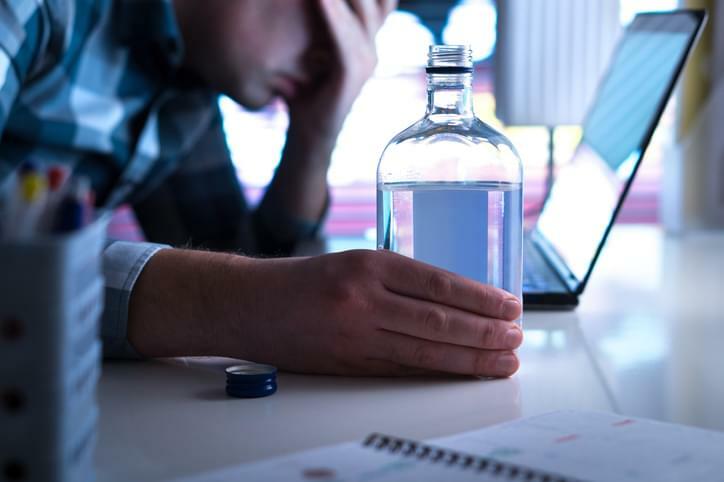 Binge drinkers are often more prone to find themselves the subject of accidents, often through behaviour that they would, when sober, consider as reckless. Information on the NHS website suggests that you should spread your alcohol use over several days. It is also advisable to have some days when you do not drink any alcohol at all to allow your body to recover. Q) My wife and I are trying to start a family. Our friends tell us that it is still safe for her to drink alcohol if it is only a small amount. Is this true? It is recommended by the NHS that women should not drink any alcohol at all while trying to conceive. It is also harmful to the baby for pregnant women to consume any alcohol during pregnancy especially in the early months. Men should also limit their alcohol consumption during this time. Q) I have drunk alcohol for many years and believe that I am still healthy. However, my family say I should reduce my alcohol intake. Are they right to worry? Ongoing and persistent consumption of alcohol puts you at a very real and heightened risk of vulnerability to serious health conditions. You should speak to your GP about a health review. Conditions such as heart disease, liver disease, and liver cancer can remain undetected and can be caused by persistent alcohol misuse. Q) I know I drink more than the recommended guidelines and I drink every day. My family keep complaining about my behaviour but I do not understand why they do this. Can you help? Dependent drinking is when you someone is no longer in control of their alcohol drinking. Dependent drinkers are often the last people to acknowledge or recognise their problem. Perhaps a candid discussion with a third party might help you to decide whether you wish to continue with your current lifestyle or not. Q) My alcohol consumption is spiralling out of control and I find it hard to limit myself to just two or three drinks a week. I am considering stopping completely is this safe? 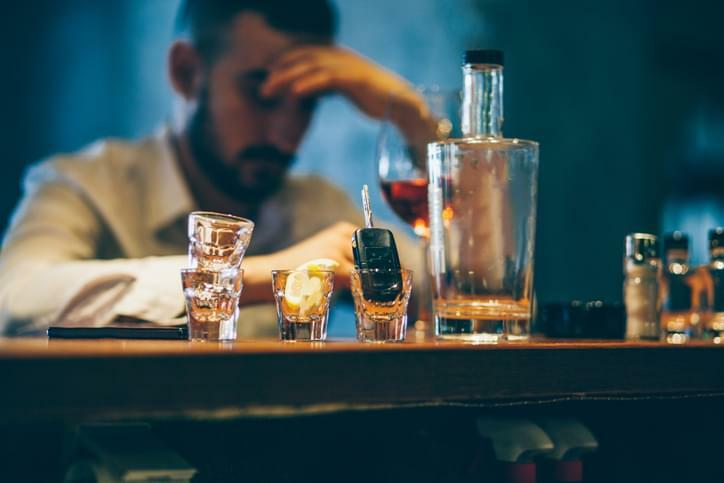 If you are dependent upon alcohol and you decide to stop altogether or significantly cut back, you are likely to experience significant physical and psychological withdrawal symptoms. Hand tremors, depression, sweating, hallucinations, and anxiety are common. In more serious cases, sudden alcohol withdrawal can cause seizures. We would suggest that you speak to your GP before taking any course of action. Q) I think my friend might be misusing alcohol. We always have a good time together when we go out for a drink at the weekend but she also drinks by herself through the week. How can I tell if she has a problem? If you think your friend has a problem then it is likely she is regularly drinking more than the recommended daily limit. You might notice that, often, she can’t remember what happened when she has been drinking because of the amount she is drinking. Other early warning signs include her failure to do what is expected of her because of her excessive drinking. You might notice that she is missing appointments or turning up late for work because she has a hangover. Q) My partner has struggled with alcohol misuse for many years and as I have always made excuses for him he now feels that his behaviour is acceptable. I do not feel able to continue in our relationship but I don’t want to desert him either. What can I do to help him? It appears that you have developed coping strategies over a long period of time in order to deal with your partner’s problem. At this stage, it seems that you are still taking ownership of the problem. One solution is to adopt an approach of tough love and give him an ultimatum. If he is not prepared to address his problem, then you cannot remain in a relationship with him. Only if he takes ownership of the problem will he feel motivated to seek help. He will still need your support in the future if you are willing to support him whilst he engages with appropriate services to help him safely reduce his alcohol intake. Alcohol misuse and addiction can become problematic to both the individual and their families. It can cause ill health and even death. In many cases, alcohol misuse is thought of as an illness and, like any other illness, it requires treatment and support. If you, or someone you know, is affected by these issues then the first step is to find out where you can seek help. For more information, contact Ocean Recovery on 01253 847 553 or email us, info@oceanrecoverycentre.com.